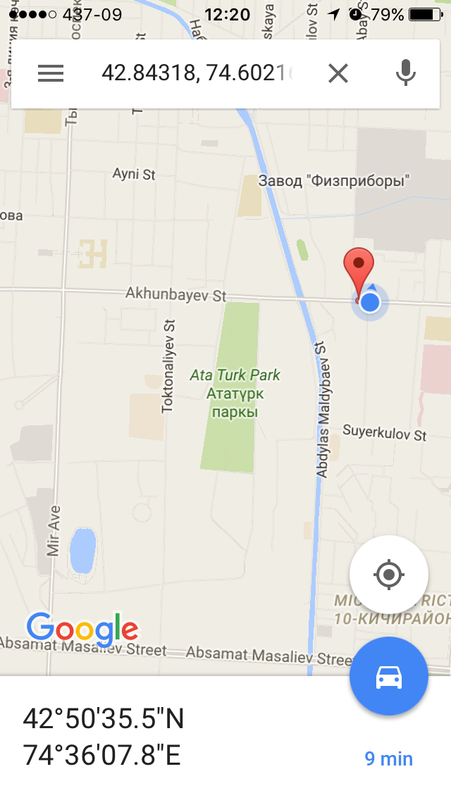 It was well over 100km to the Turkmen border from Bukhara. 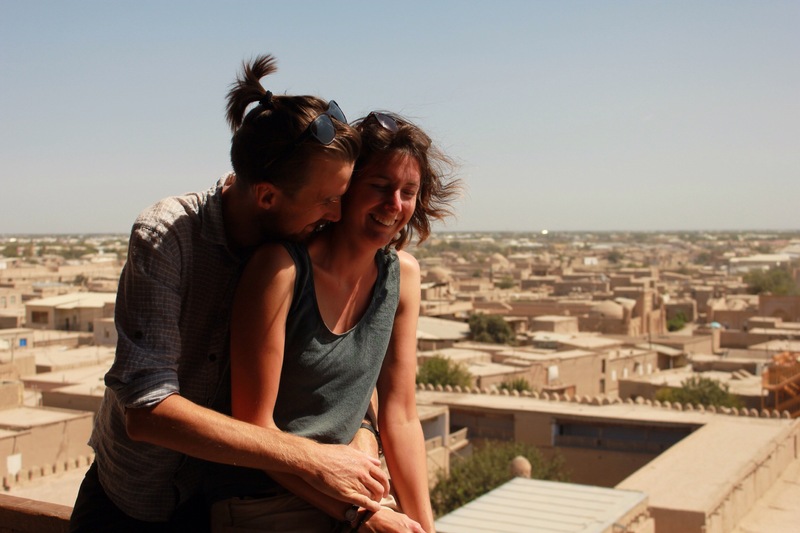 Unfortunately, Jean – who had been planning to ride with us – found out she had no choice but to cross on the dates she had specified on her original visa application so Paddy and I rolled out of town on our own. 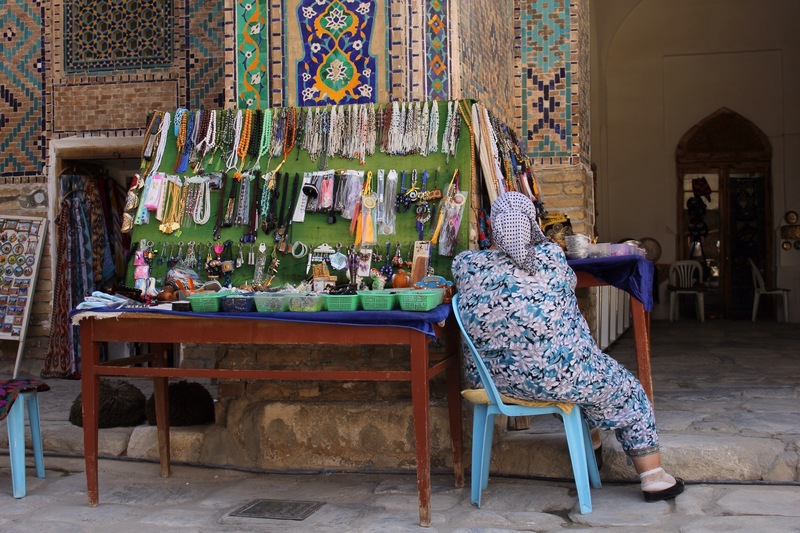 Uzbekistan had depleted our stock of dollars a bit more than we had expected but we managed to take out some extra bills before leaving – a very good thing as it’s virtually impossible to draw money out in Iran due to the international sanctions. It was our first cloudy day and the weather was very close but the road remained good and was flat all the way. 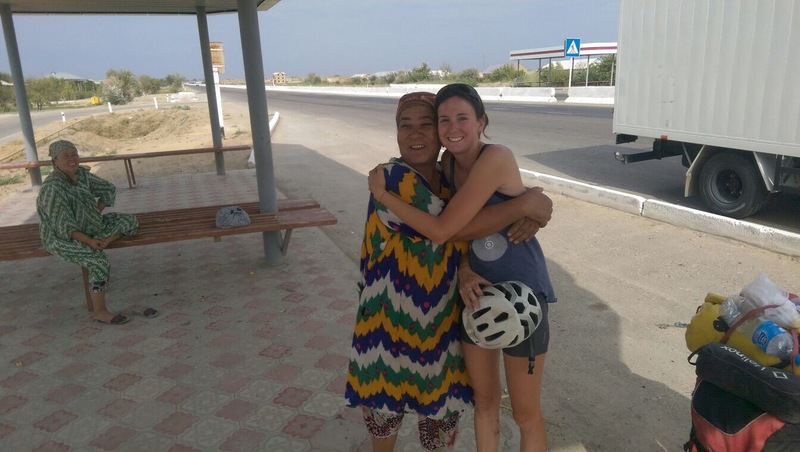 During a short water stop some locals came out to say hello and I ended up getting some big hugs and large fat kisses planted on my cheeks from this very jolly Uzbek lady. 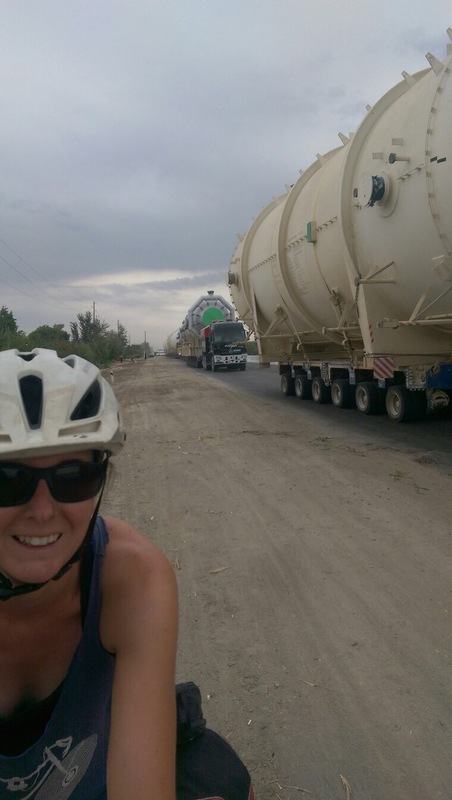 Throughout the day we were tailed by a large convoy of these giant exhaust scrubbers which were slowly making their way to a power station in Karakol. A large team of police flanked the convoy holding up and diverting the traffic but we were permitted to cycle alongside them. The things were so big that each electricity pylon had to be lifted by a team of guys with long poles so the trucks could pass underneath. Studying the text on the outside of the empty shells told us these things had come all the way from Korea… It was quite fun escorting them for the final leg of their journey! We ended up passing each other out all day and by the afternoon we had got pretty familiar with the police drivers and the team of South Korean engineers who were travelling with them. We camped by a large canal off the road that night just 7km from the border. 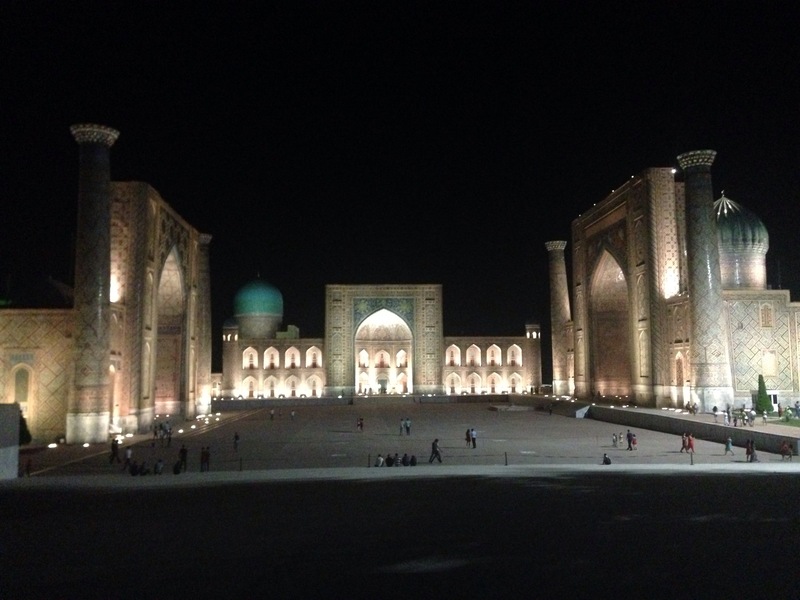 Uzbekistan has been a good warm up to the many historical sights and architecture which we’ll encounter in Iran. 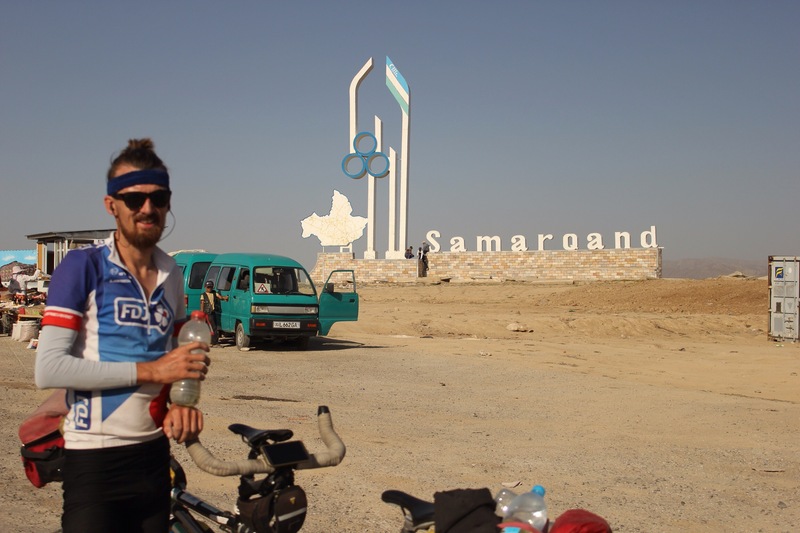 All there was left of our Central Asian adventure was to complete the four day, 470km dash across the Turkmenistan desert. Iran feels like the last big adventure before the home stretch (through Armenia, Georgia and Turkey) back to Greece where we’ll leave the bike before flying home for a month over Xmas. I can’t really believe we’re in our 9th month of the trip! 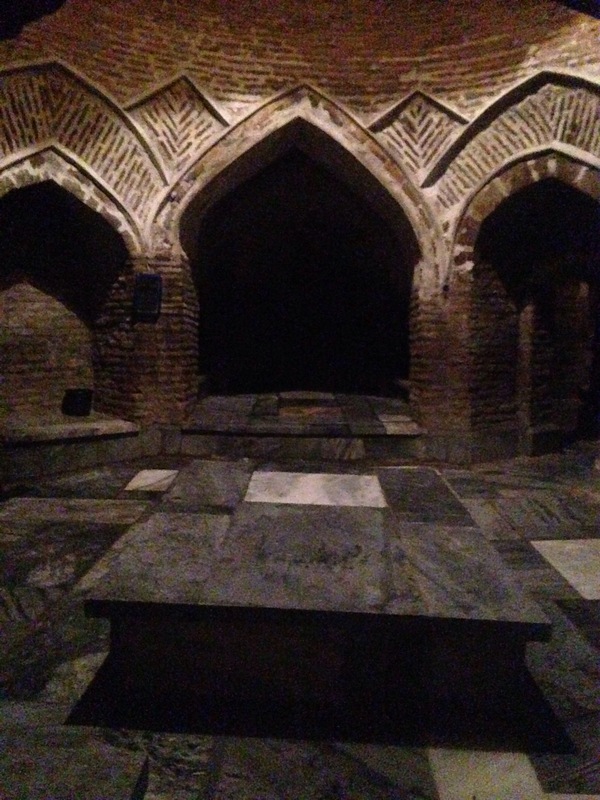 The evening before we left Bukhara the three of us booked ourselves into a traditional Bukharan hammam at the city’s old age bathhouse. The maze of domed stone caverns hasn’t changed for centuries. The three of us sweated it out in the steam room for 30 minutes before each being taken away to a separate arch for a traditional massage on marble plinths. We’re scrubbed, washed down and then stretched, twisted and massaged. We think Paddy was given a more extreme treatment because there was quite a bit of loud cracking and yelping coming from his arch. We’re washed down again and smothered in grated ginger before returning to the steam room. The ginger makes your skin feel as if it’s on fire – a sensation which feels both pleasurable and unpleasant. It’s probably the best spa treatment any of us have had. 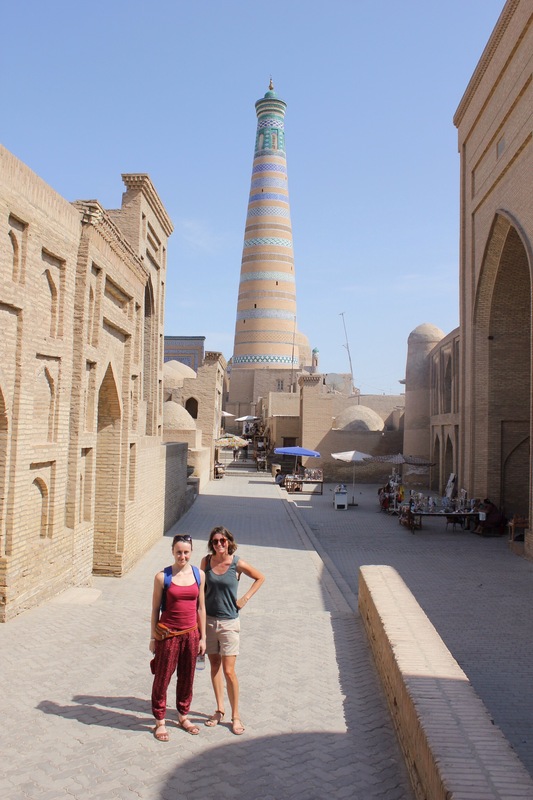 The next morning we team up with Jean again and the four of us travel north, through the desert, to Khiva via shared taxi. 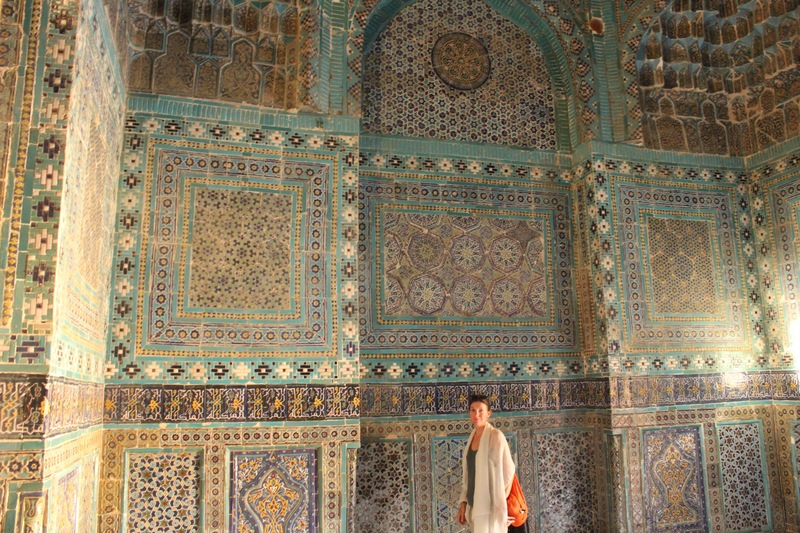 Now that we had our Turkmenistan visa there was no need to take the bike with us and so we packed light. 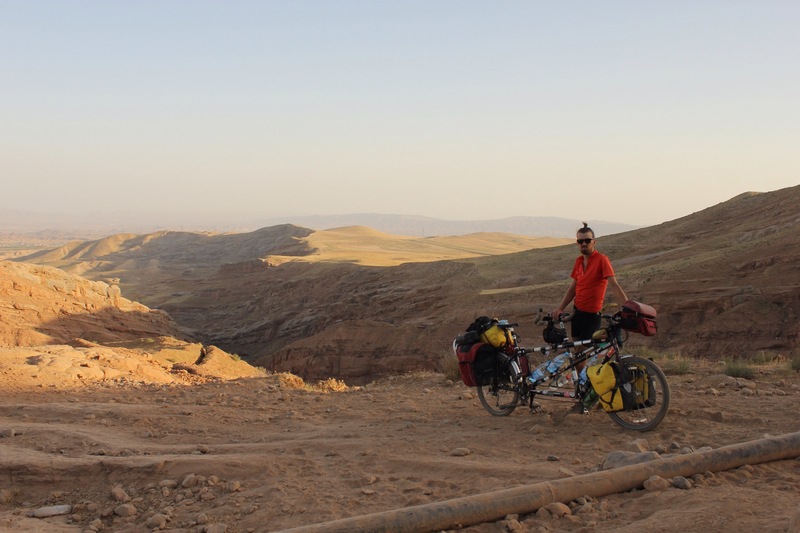 Spending 7 hours in the hot car made us realise how much we like travelling by bike and we arrive at the ancient Silk Road in need of a good leg stretch and a cold shower. Jo and I had stayed up very late the night before but at least I got some shut-eye on the way up. 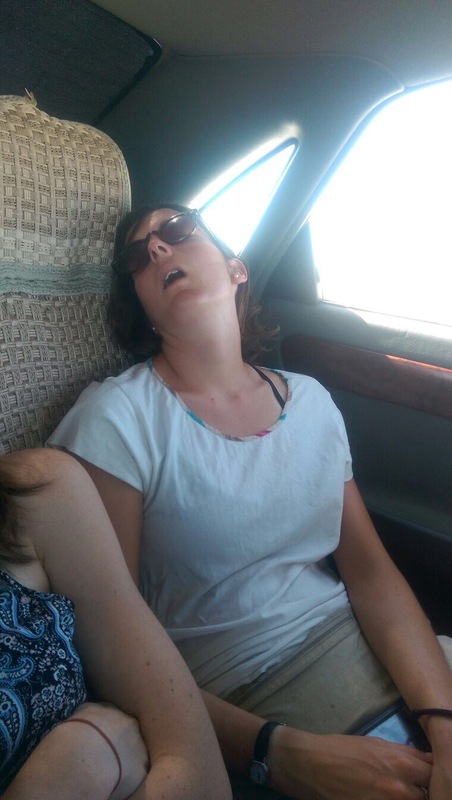 Paddy took this picture of me in my graceful slumber. 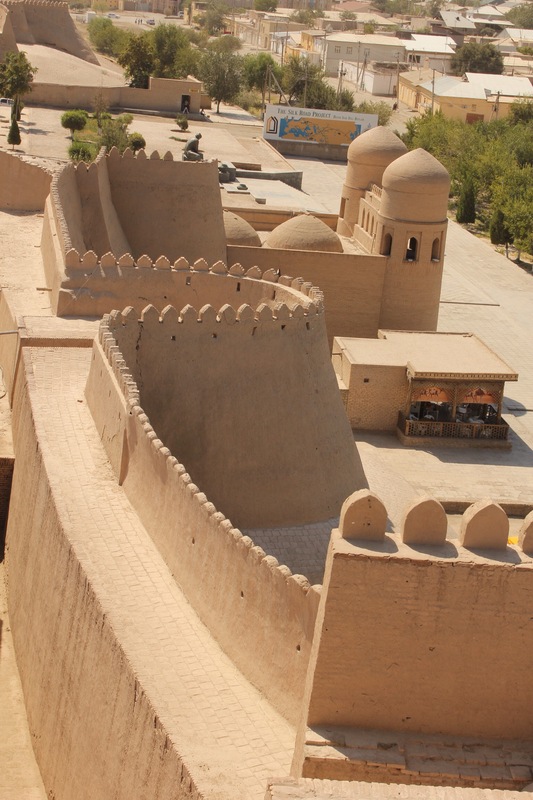 Like Bukhara Khiva is a bit like a giant Silk Road film set. The Medressas, impressive Minarets and well kept streets are surrounded by the giant city walls. The three of us had good fun pottering about the city beginning each day by eating the epic breakfast served at our hotel. and at a roof top restaurant. 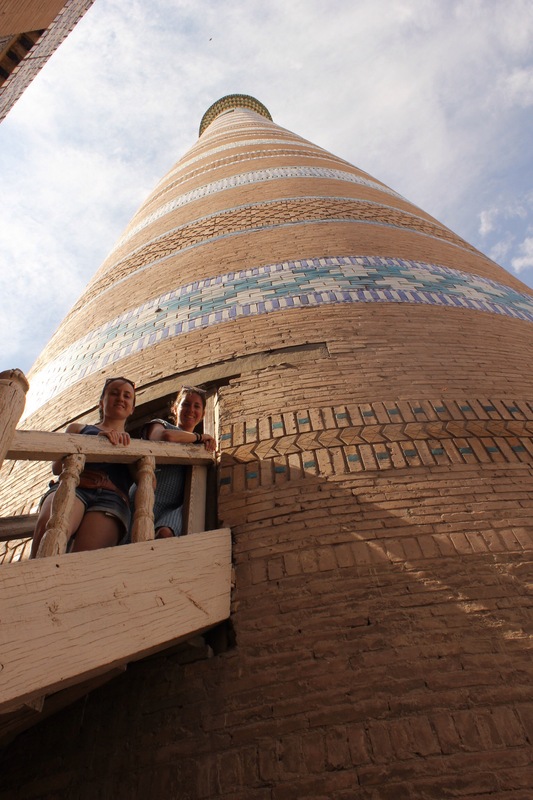 …and spent a fun 20 minutes climbing up the incredibly steep, pitch black spiral staircase of the Juma Minaret. Great views from the other side of the city here too! 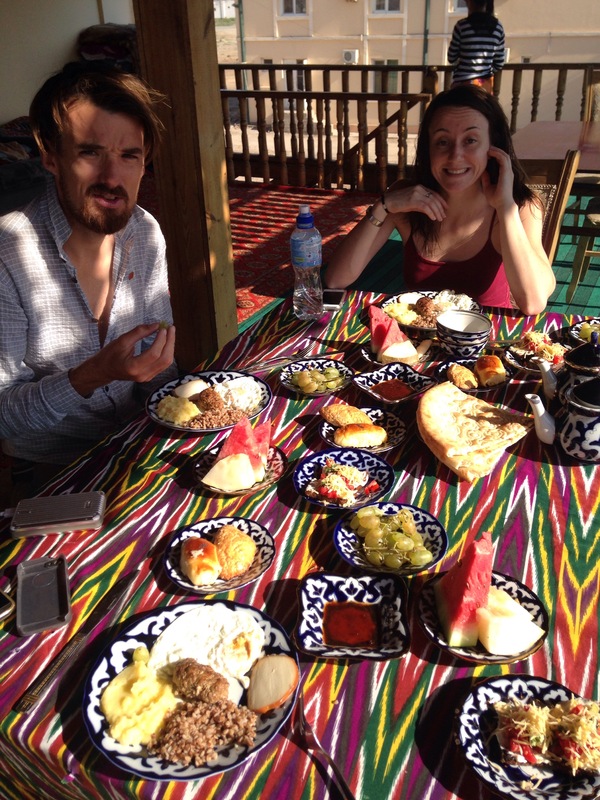 Jo sampled all the local dishes and like everyone else, discovered that it all tastes pretty much the same. 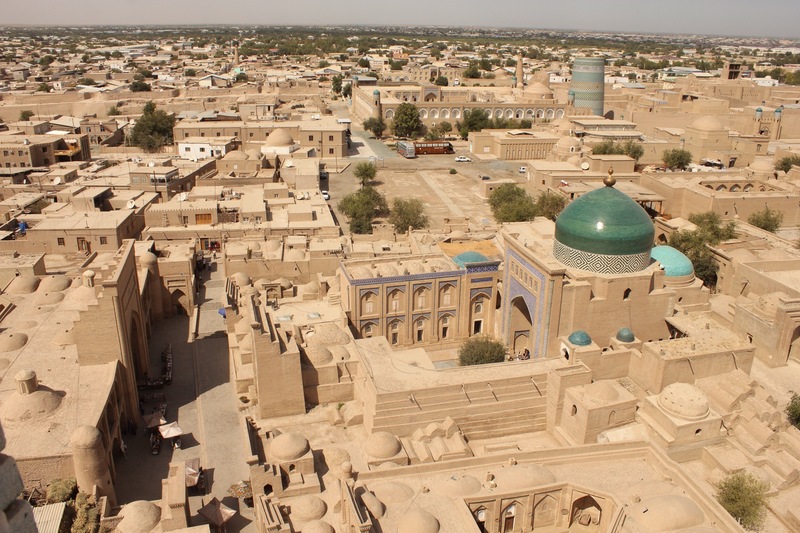 There are many stories about how Khiva was founded, with one of them claiming that Shem, son of Noah, found a well here and discovering that the water was so tasty he decided to build a city at the site. Naturally we went in search of said well and only managed to find it after three local girls led the way. 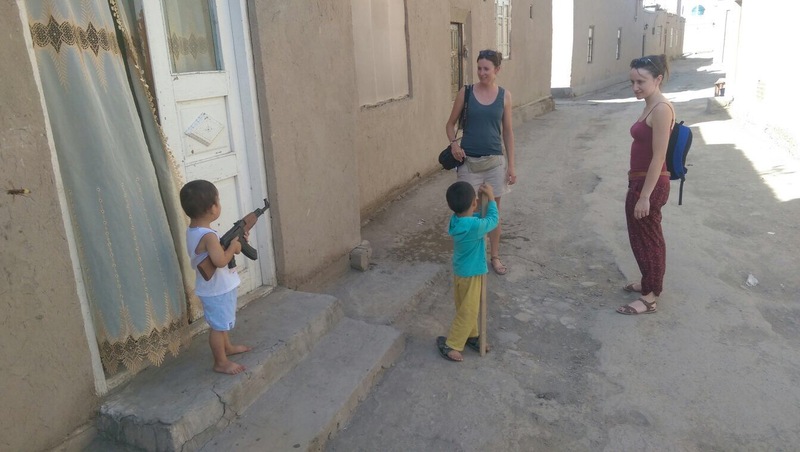 On our way back we were ambushed by two little boys with toy guns. On the last evening we watched a traditional 30 minute music and dance show performed by 6 performers. It was pretty entertaining especially when the two boys invited Paddy up on stage for some audience participation. He had to act like an eagle and attempt to pick up a toy fish from the ground without bending his legs. Karimov’s death dominated all tv footage while we were in Khiva. Two days after his state funeral in Samarkand, the tv in our hotel continued to show the same video montage on repeat – made up of various video clips of the former president meeting adoring subjects before cutting to sobbing men and women throwing roses before the hearse at the funeral. Beethoven’s Moonlight Sonata acting as a solemn backing track to the whole thing. 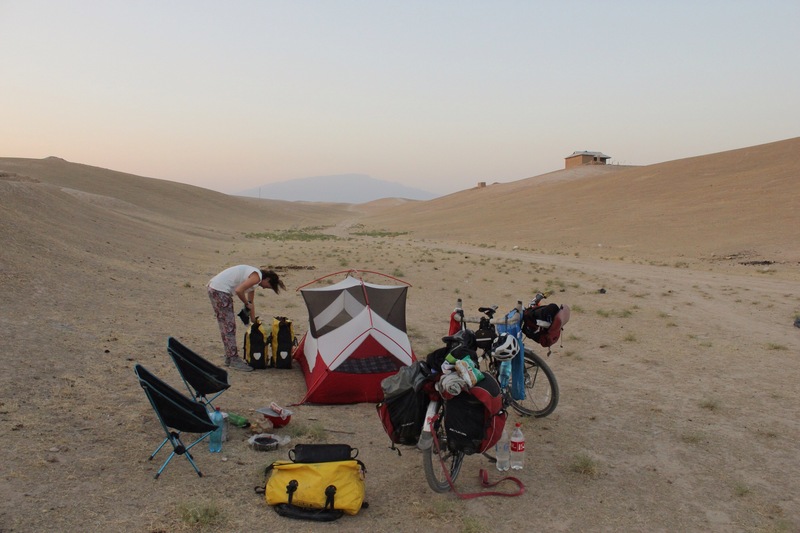 Time for us to get back on the bike and dash across the Turkmen desert so we could start our Persian adventure in Iran! Having spent much of the afternoon at the circumcision ceremony that afternoon we didn’t roll into Shakhrisabz until atfter dark but managed to find a decent hotel even though they couldn’t officially register us. 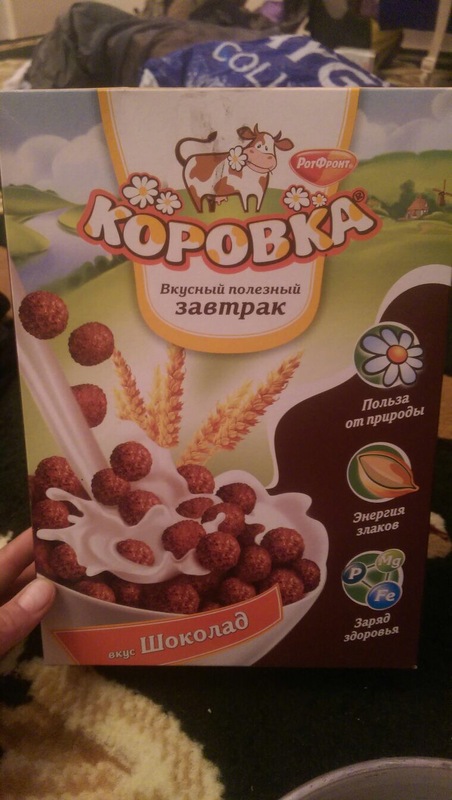 Nowhere close was open for dinner so we raided the small supermarket next door and spent a relaxing evening watching Uzbek tv while munching our way through two bowls of milk and chocolate cereal. The next morning we got up early as we wanted to see a couple of the main sites in the town before cycling the 100km to Samarkand. 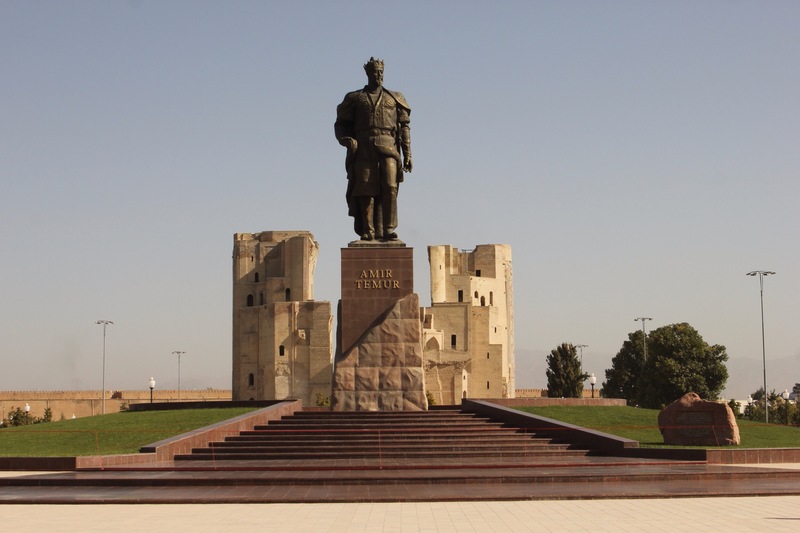 We visited the statue of Timur which sits in front of what’s left of his famous 14th century Ak-Saray palace of which only the collapsed arch building remains. We unfortunately realised we had a slow puncture here but didn’t have time to change the tube so we just pumped it back up before heading north out of town. A long climb awaited us but the road surface was good and the incline ok so it wasn’t too tough. After all the flat land we were glad to be climbing and enjoying some views. We reached the top by 4pm. Here is Paddy sporting his Mr Motorvator look at the top. 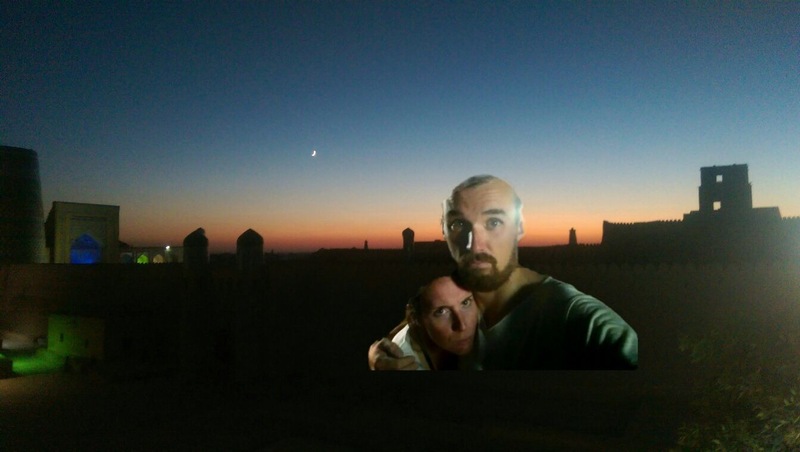 We roll into the outskirts of Samarkand at dusk, tired and looking forward to reaching our hotel which we had (for once) booked ahead. Our way is blocked by road works though and we’re forced to take some bumpy detours. Up ahead a large crane machine blocks most of the road but there’s a small gap for us to squeeze through. Unfortunately we miss-judge completely and we end up toppling over into the gutter, taking out this poor pedestrian at the same time. By the time we’d both untangled ourselves from the bike he’d rushed off in embarrassment and we didn’t even get a chance to apologise. The impact had caused one of the back frame bolts to shear so we were forced to fix it before finally reaching our hotel. Unlike its neighbours Kyrgyzstan and Tajikistan, Uzbekistan isn’t exactly rich in beautiful mountainscapes or green pastures. 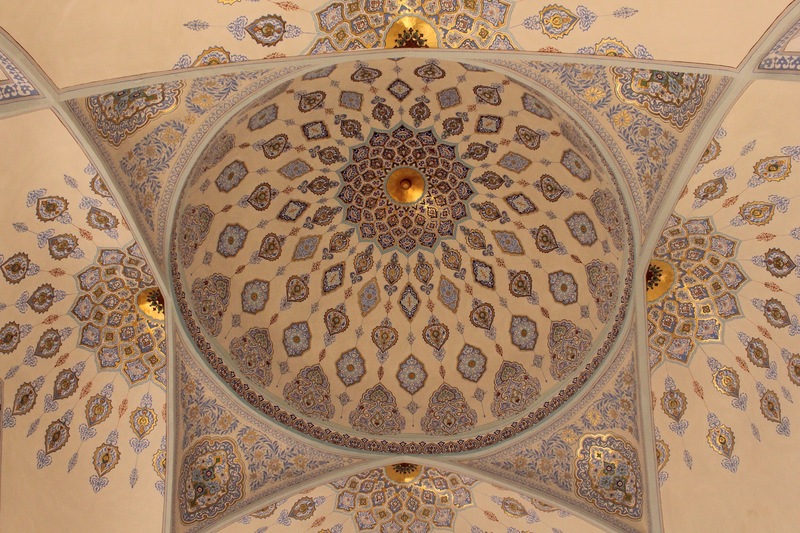 It more than makes up for this though with its impressive (albeit somewhat tastelessly modernised) historic cities which are some of the most celebrated centres of artistic, cultural and scientific learning in the Islamic world. 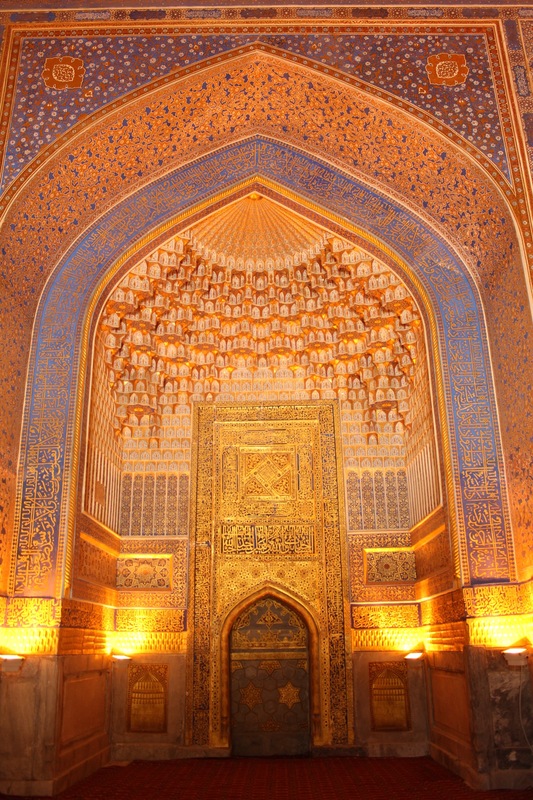 One of the oldest inhabited cities in Central Asia, Samarkand inhabited a strategic position along the Silk Road. Indeed, study either the life of Alexander the Great or Genghis Khan, and the city will feature heavily in both tales, the former conquering the city (then known as Marakanda) from the Sogdians in 329BC and the latter invading at the beginning of the 13th century. 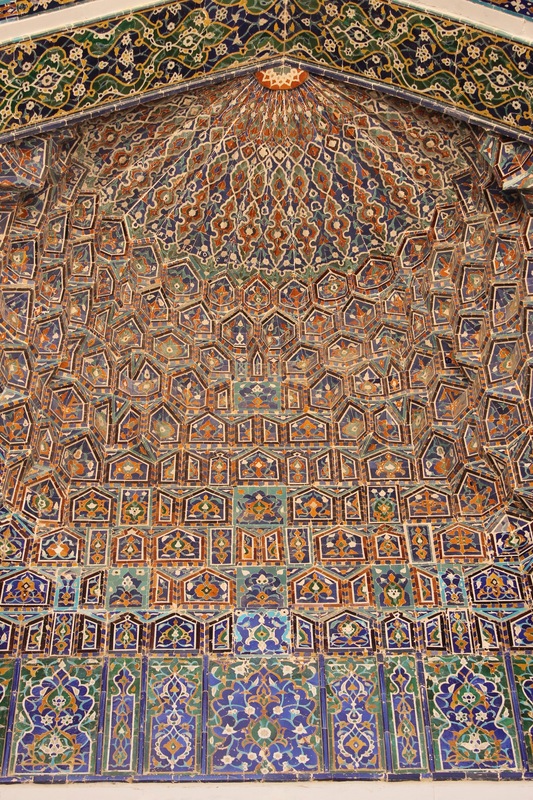 The artistic, architectural and scientific innovations which took place within the city during the Timurid (14th century) period are unprecedented. Note that Europe’s Renaissance period was only just getting started. 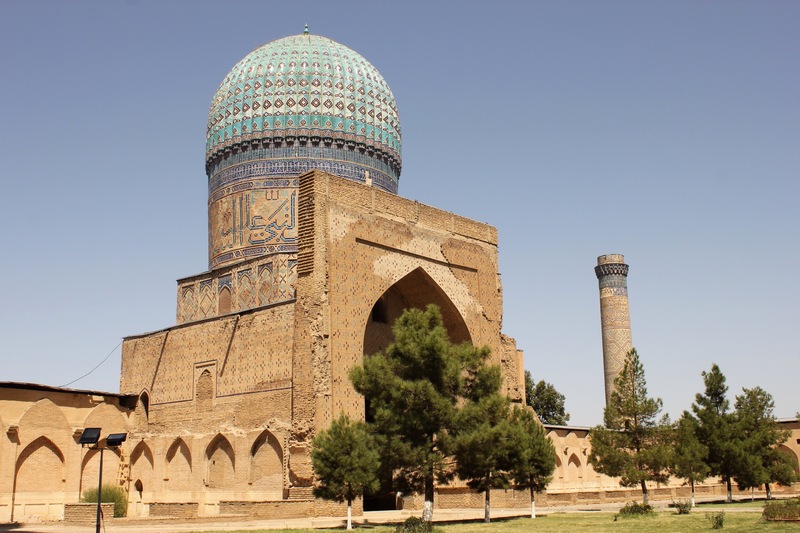 Timur was a patron of the arts and is Uzbekistan’s national hero (much like Manas in Kyrgyzstan) and along with his grandson Ulugbek the city became known as a rich centre of learning. 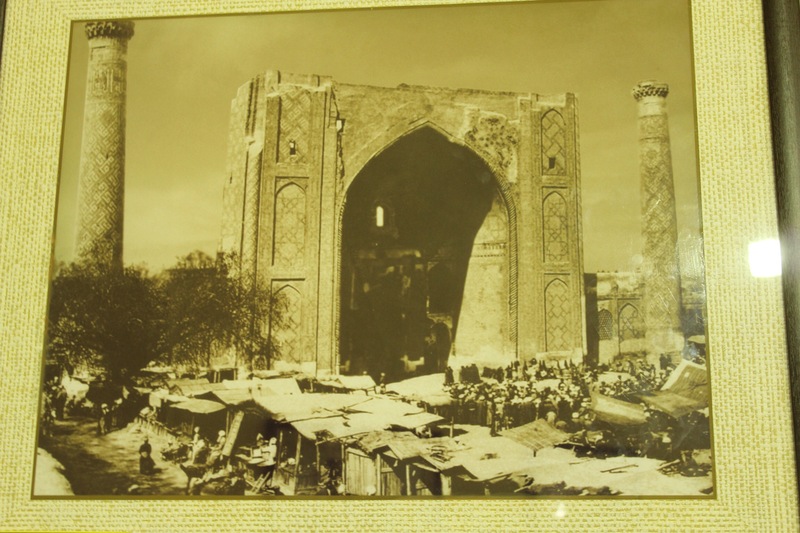 The Registan (‘sandy square’) was the centre of cultural life during his reign with the complex incorporating a number of Medressas and a huge bazar which once filled the open space between the buildings. Despite the buildings having been thoroughly restored, unfortunately it’s hard to get a sense of what it must have been like to leave the hectic market square and enter the cool quiet solitude of the Medressas because most of the classrooms and tree lined courtyards are jam packed with souvenir stalls. It feels a little sterile. 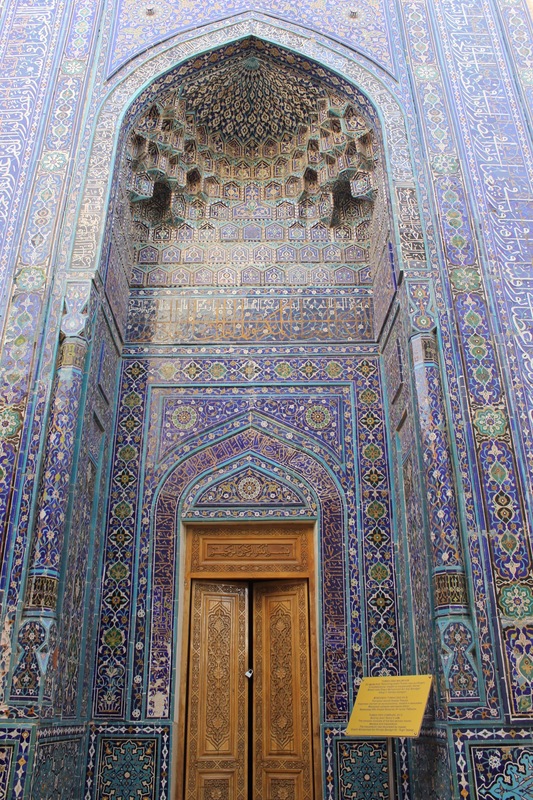 Nevertheless, the buildings are impressive with their intricate tiled exteriors, gold plated domes and carved wooden doors. 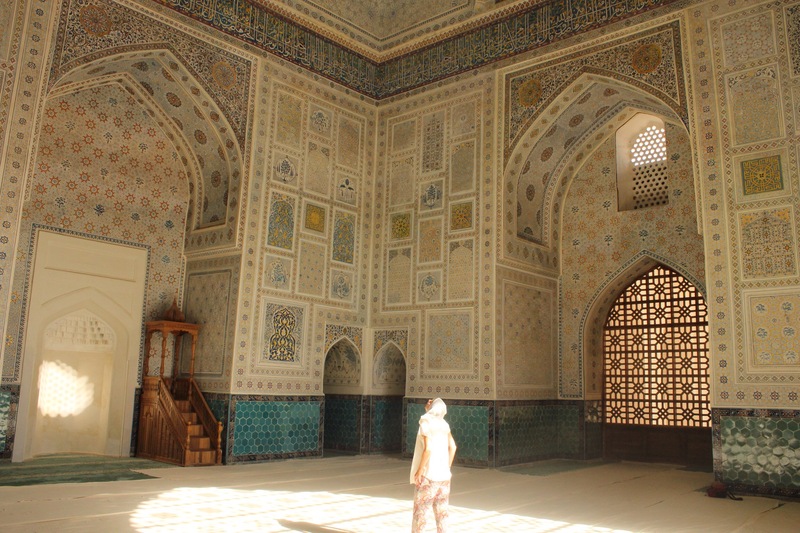 Next up we head down to the Bibi-Khanym Mosque and then end the day with a walk to the collection of mausoleums at the Shah i-Zinda complex. 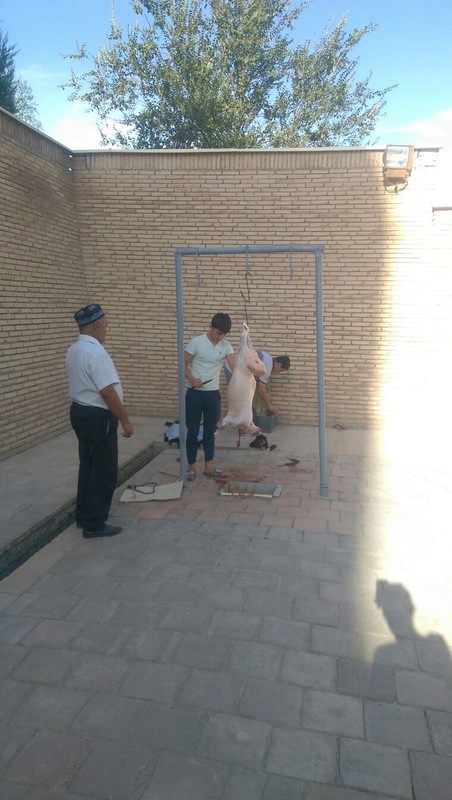 Outside the mausoleum a sheep is being butchered in the courtyard. The avenue of tombs boast some of the richest tiling in the Muslim world and its gem is the tomb of Qusam ibn-Abbas, a cousin of the prophet Mohammad and where we were able to sit and listen to a qari recite live recitation of the Quran. 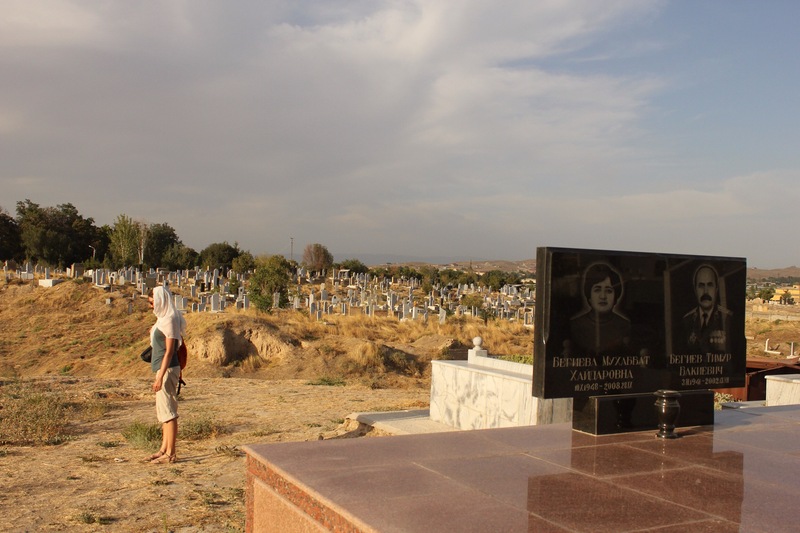 Surrounding the tombs is a huge graveyard where hundreds of other important Uzbeks are buried. After some sightseeing we were in need of more local currency. 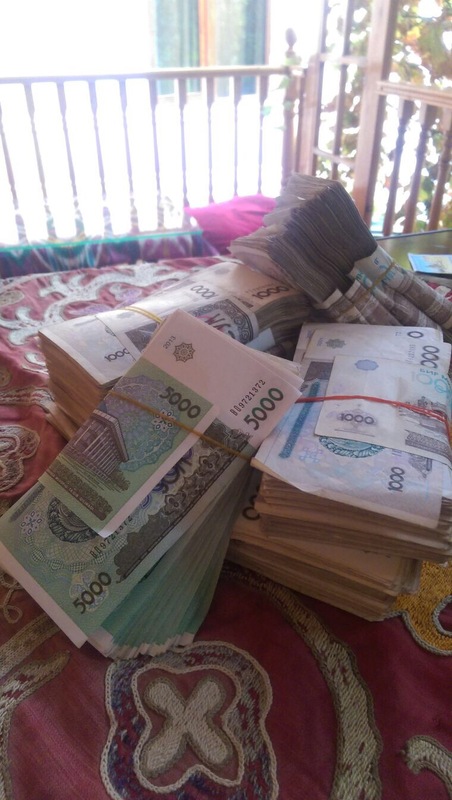 Uzbekistan suffers from high inflation and nobody, not even locals, take money from ATMs because the official exchange rate set by the banks is woefully low. Everyone uses the black market and runs a cash economy and most hotels and shop owners will be happy to exchange. We spent a fun two hours haggling for the best rate at the bazar. The whole system is pretty hilarious with guys obviously running ‘patches’ – so there is no point in trying to get a better rate with the guy standing two doors down because they will likely be working for the same conglomerate. The exchange rate is roughly $1 = 6250s but due to inflation no notes bigger than 5000 exist and there’s not a lot of those around either so you largely get stacks of 1000s. Because it’s the black market we were careful to count the stacks before handing over the dollars and boy, the guys tried every trick in the book to confuse us. They were really friendly too and once we were happy we’d got the right amount we headed off with our wads of notes feeling like gangsters! 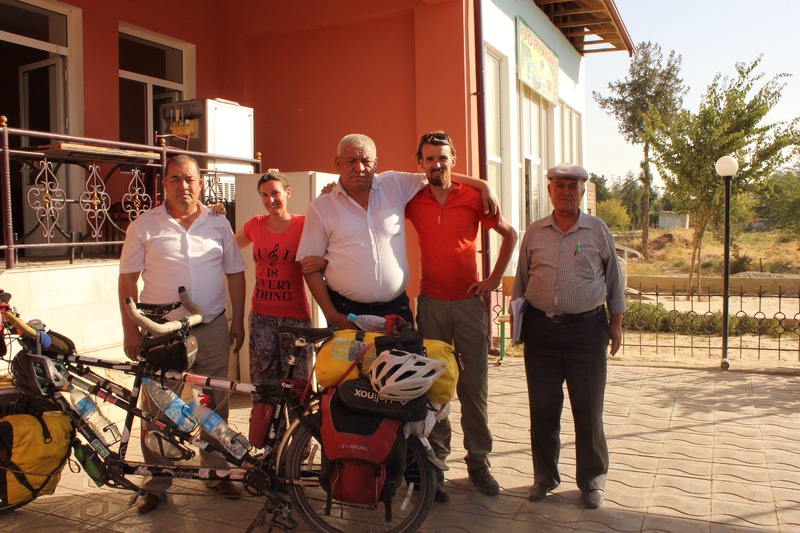 The next day we bumped into a fellow cyclist, Jean from New Zealand, who we had met briefly outside the Turkmenistan embassy in Dushanbe. She was heading off at the same time as us towards Bukhara so we planned to set off together. Here we are outside The Registan ready to go! 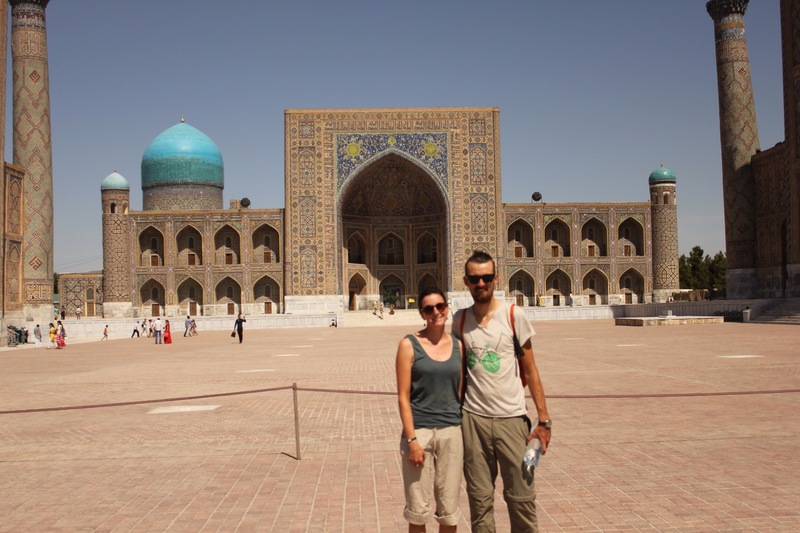 We were both looking forward to reaching Uzbekistan. 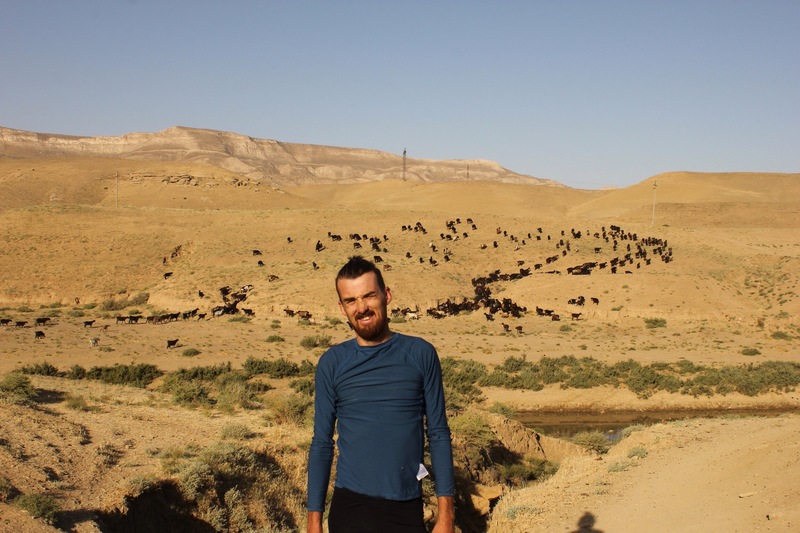 I think the constant stomach bugs we kept catching (everyone gets ill in Tajikistan) and the long wait in Dushanbe for a visa application to Turkmenistan slightly overshadowed our experience of cycling the famous Pamirs. It certainly was very beautiful but the roads made it pretty gruelling at times and we both couldn’t help comparing the views to Sichuan and Yunnan in China which, in our opinion, are hard to beat. 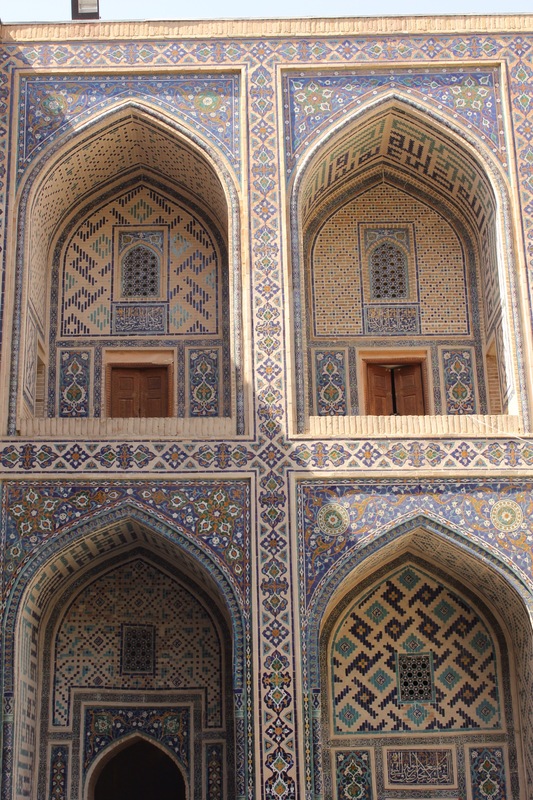 Our time in Uzbekistan, our next stop on our Silk Road, Central Asian adventure, promised to have a completely different flavour to Tajikistan with sightseeing and city stays taking up most of our time. 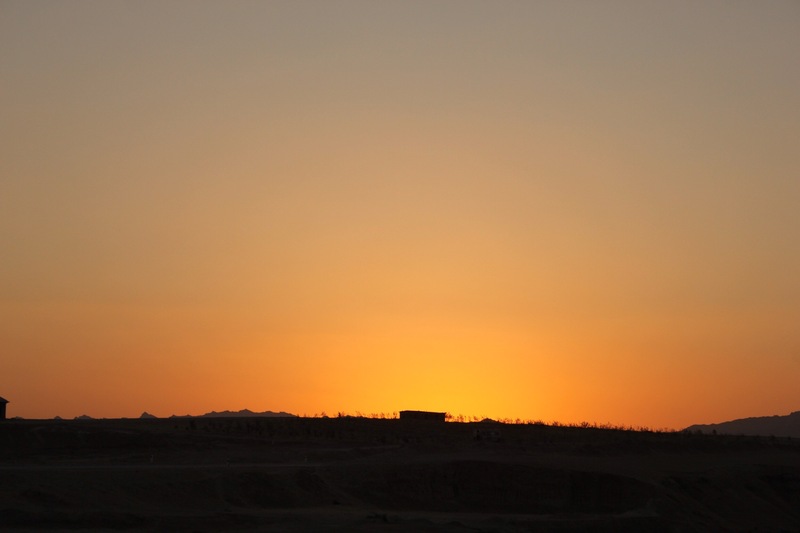 The majority of the western part of the country is taken up by desert (and the shrinking Aral Sea) with almost all the population and cultural sites bunched up together in the Eastern tip. 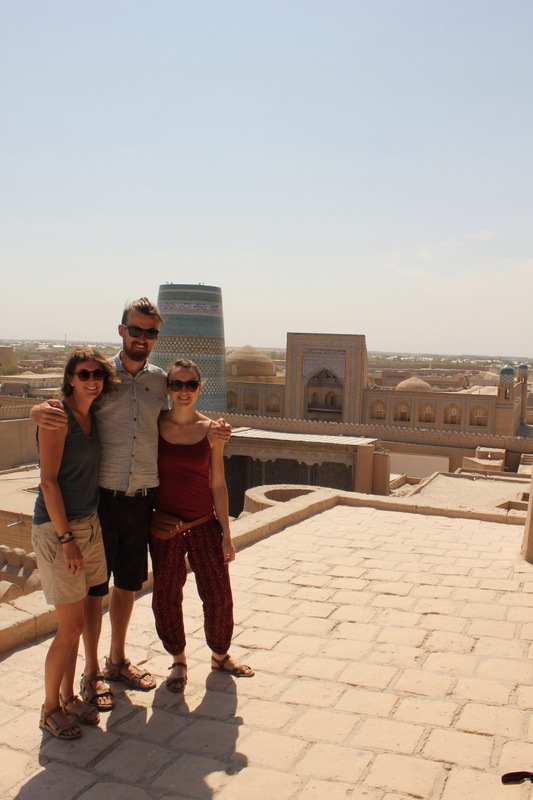 The historic cities of Samerkand, Bukhara and Kiva would frame our journey through this eastern part and with my friend Jo flying out to meet us for a week in Bukhara we weren’t planning much cycling from then on. 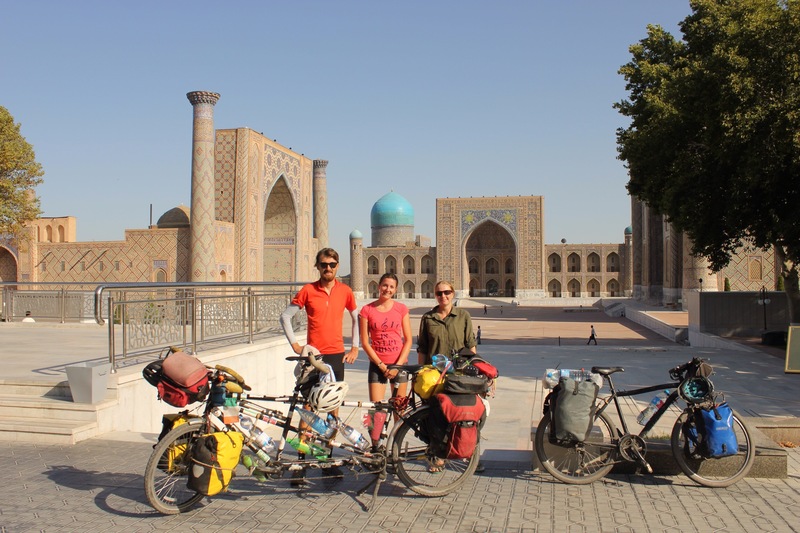 Having had no answer from the Turkmenistan embassy about our transit visa, the new plan was to leave Jo to travel back east to Tashkent from Urgench while we headed west by train to the Kazakhstan border where we would cycle towards Aktau before taking a short flight to Tehran. 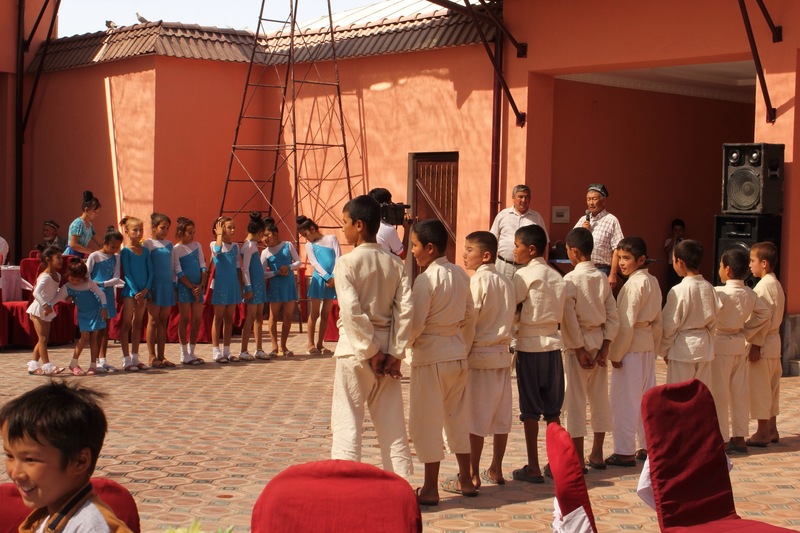 The first hurdle we needed to jump was border control on the Uzbek side. Uzbekistan is very much a police state with a string of human rights abuses to its name under the ever growing totalitarian rule of president Karimov. Medication, valuables, cash and illegal media are all carefully policed at the country’s borders and it took us 2 hours to clear customs. The guards were all pretty congenial throughout the ordeal, even though they made us manoeuvre and lift the loaded tandem up a number of steps and narrow gates before telling us to simply unload the bags and take the bike back down to the parking bay… Very annoying! 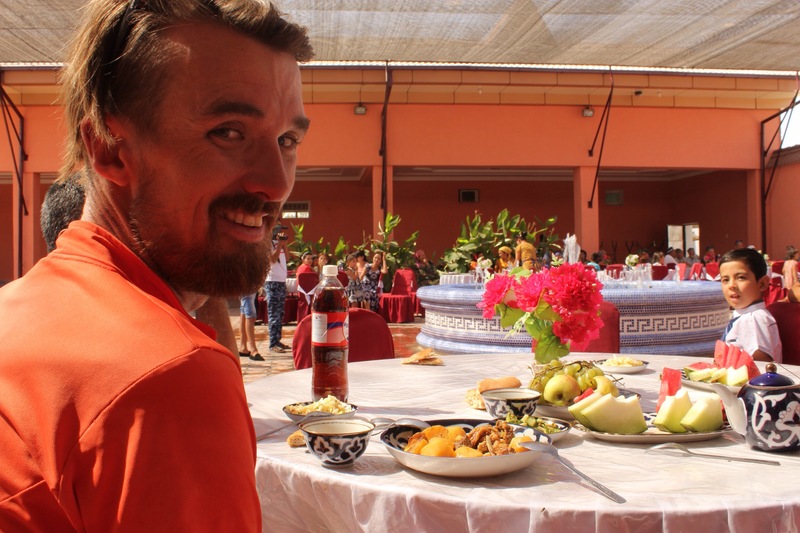 Anyway, we were in and the plan was to spend the next few days cycling to Samarkand via the towns of Denov, Boysun and Shakhrisabz. 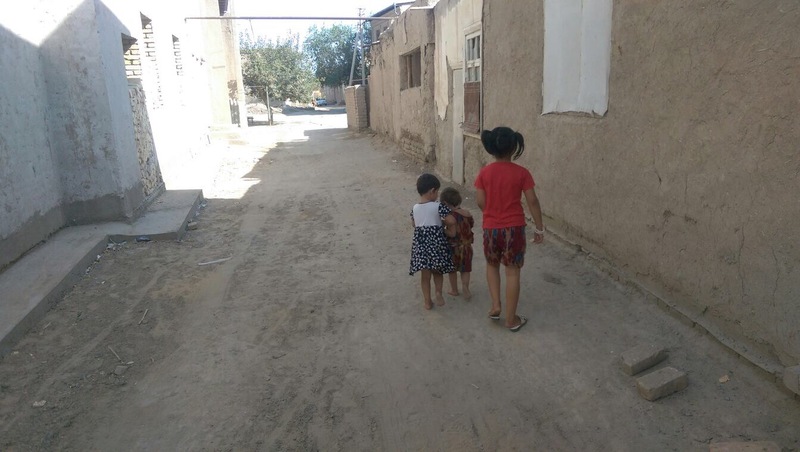 The first day and a half was very flat with excellent paved roads and so we easily do 80km to the town of Denov despite the suppressive midday heat which largely puts us out of action from 1-3pm. 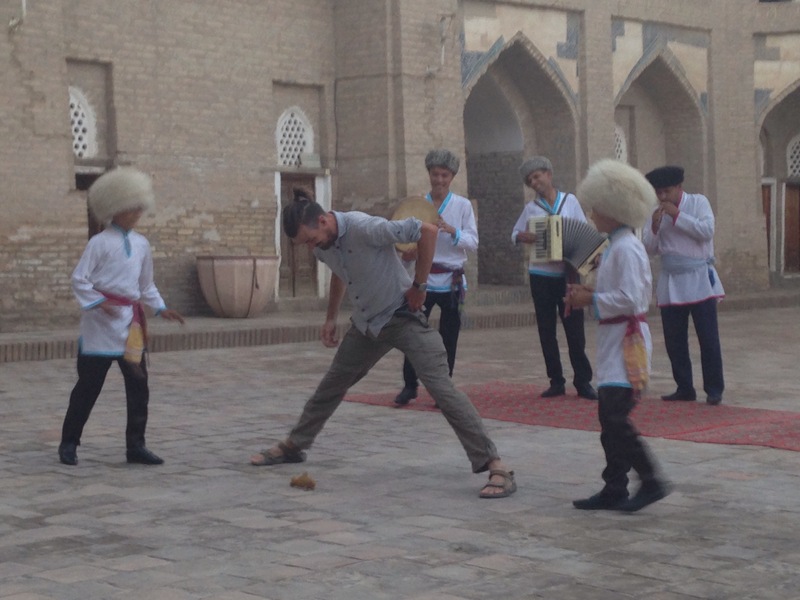 Our first impressions of Uzbekistan is that it is an incredibly friendly place and the people like to joke with you. Whistling loudly is the preferred way to attract your attention. Within a few hours of cycling through the country we can’t help but notice the cotton fields which line the roadside. 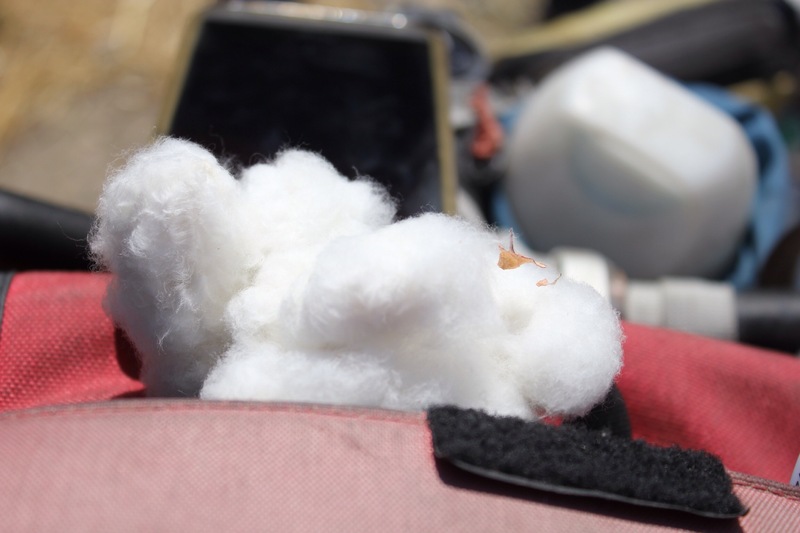 Uzbekistan is famed for its cotton production but certainly not in any good way! 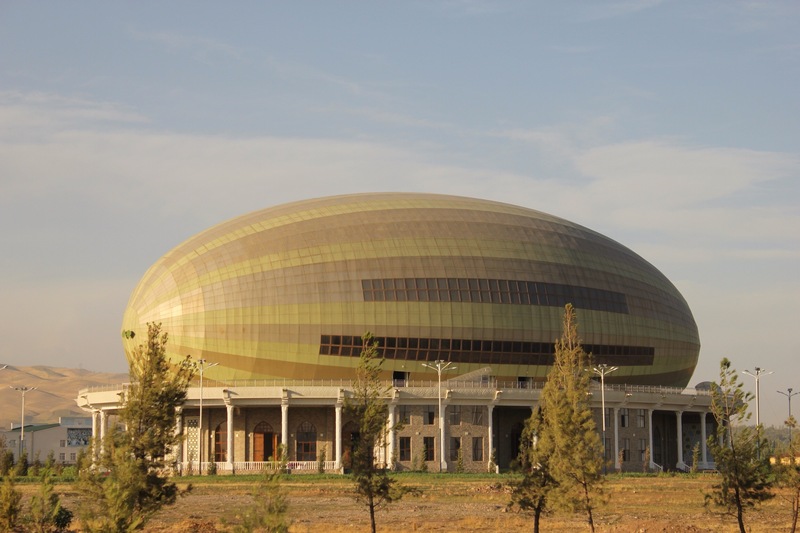 Introduced by the Soviets who developed a cotton monoculture in much of Central Asia, the farming of this thirsty crop still dominates farming practices in Uzbekistan despite the obvious difficulties. Cotton needs constant irrigation to grow well, not ideal for the dry, dusty Uzbeskistan climate, and poor government controls and policies (such as the draining of the Aral Sea and lack of proper price controls) have left the soil salty and the people who farm it too poor to pay for machinery or labour. Farmers have not been allowed to switch to fruit or vegetable crops instead and the only way the system continues to survive is through the government making school children, students and adults go out to harvest the crop in Autumn. 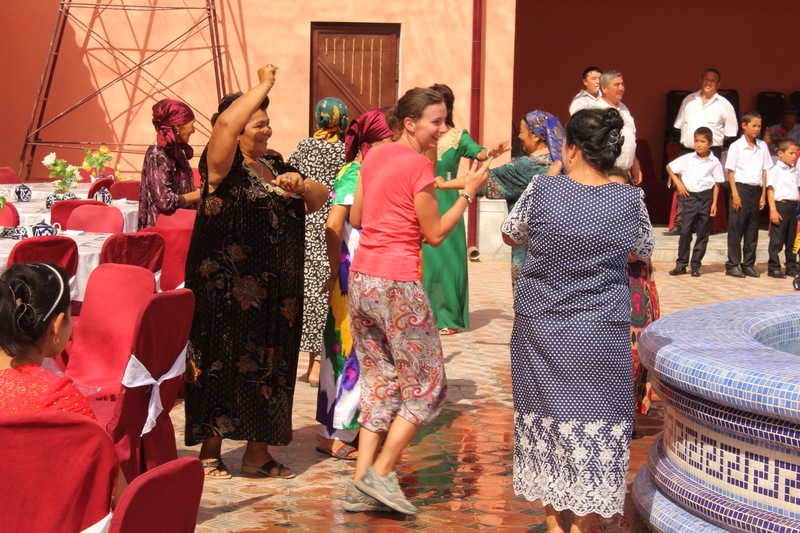 The practice has naturally sparked international boycotts on Uzbekistan cotton and a number of Anti-Slavery and human rights organisations to get involved but the practise still continues. After an overnight stop in Denov we continued on and soon hit some climbs. 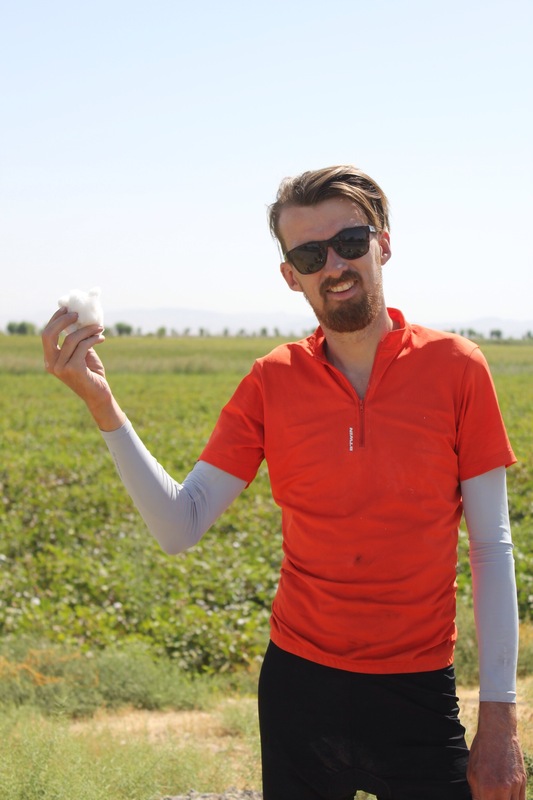 We leave the flat cotton fields behind us and climb steadily up towards the town of Boysun through a moon-like landscape stopping to camp just outside of a town in between. The days get hot here but unlike South East Asia it isn’t humid and the cloudless nights are blissfully cool with impressive night skies. After the second day I feel strong enough to cycle out a few kilometres so we can camp on the hills above the town. We take the wrong turn out of town though and end up having to push the tandem up a track. A large group of men (and boys) covered head to foot with black soot pass us on our way up, a string of donkeys carrying bags of coal behind. There is obviously a mine nearby and by the looks of it, it’s another industry which is plagued by bad government controls and a lack of any industrial machinery. The view from the top is pretty spectacular. The next day we finish the climb and then enjoy a long downhill section stopping for a good few hours under the shade of an orchard for lunch and a siesta. We find a secluded camping spot by a dammed river that night which means we can both have a bath! Bliss! 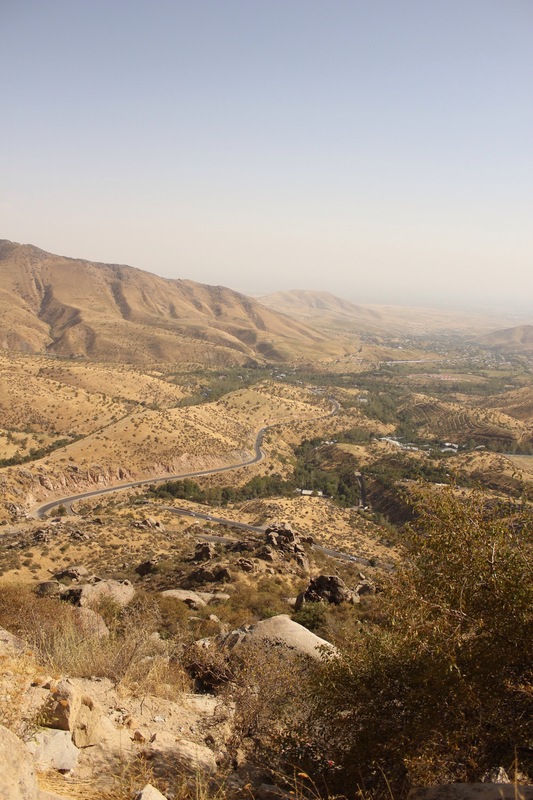 The next day we hope to complete the 100km to the town of Shakhrisabz, the birthplace of Timur. 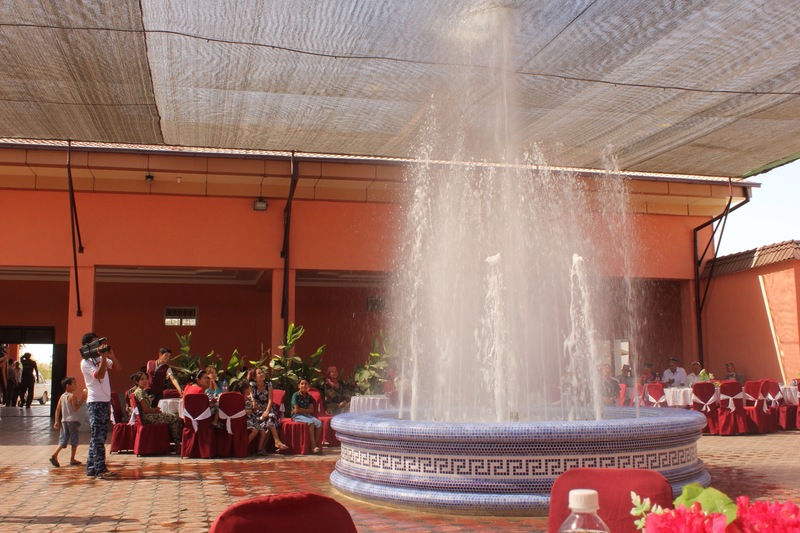 We make good headway that morning and stop in a busy restaurant for lunch where a wedding is taking place in a large covered courtyard at the back. As we finish eating a big bellied man approaches our table and insists we come and eat a second lunch at the party next door. Feeling overly full already but honoured that he’s asked we follow him through to the courtyard where about 25 tables are set up around a large fountain. Men and women are sitting separately and a live singer serenades everyone over a loud backing track. We’re sat down at one of the large tables and a huge plate of Plov is brought out followed by another King-sized dish of meat and potatoes. We’re greeted by a number of people but a bride and groom are nowhere to be seen and we soon have to conclude that we’re not at a wedding. We soon learn we’re at a Khitan ceremony (Islamic circumcision ceremony) for 5 boys who are seated under a canopy overlooking the guests instead. In front of the canopy are five bedrolls and it soon becomes apparent that the guests want us to stay, watch and photograph the public ceremony. We both know that this is a normal practice which takes place across the world in many religions but this still didn’t really prepare us for this experience. 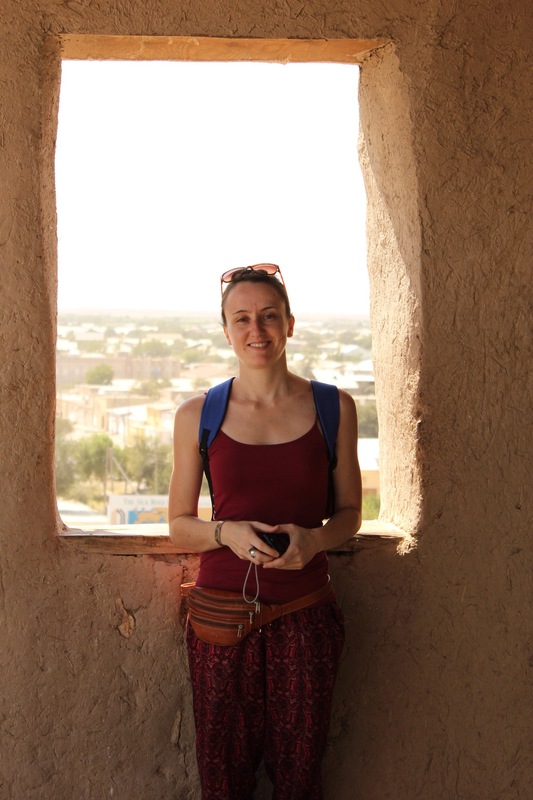 Curiosity and an openmind made us stay, this is what travelling should be about and who are we to judge and be squimish without understanding what goes on? so we agreed to stay. Paddy sat with the men while I was encouraged to get up and dance with the group of women and it was fun trying to copy their dance moves. Next came some performances by some young people. A group of girls in blue outfits performed some gymnastics and the boys then came on to demonstrate judo. After this the five boys were invited up and were given wads of cash by a number of important looking men who all gave a short speech. Paddy and I were then invited into a side room with these men to eat more plov and drink port and vodka. We are both feeling pretty sick from all the food already but we really can’t refuse, they almost force feed us! Professional photographers come in to take photos and 30 minutes later we’re supplied with printouts of the photos. This one is the best, mainly because of the superimposed border and how terrible we both look in it! The time comes for the ceremony and the boys get laid down side by side. 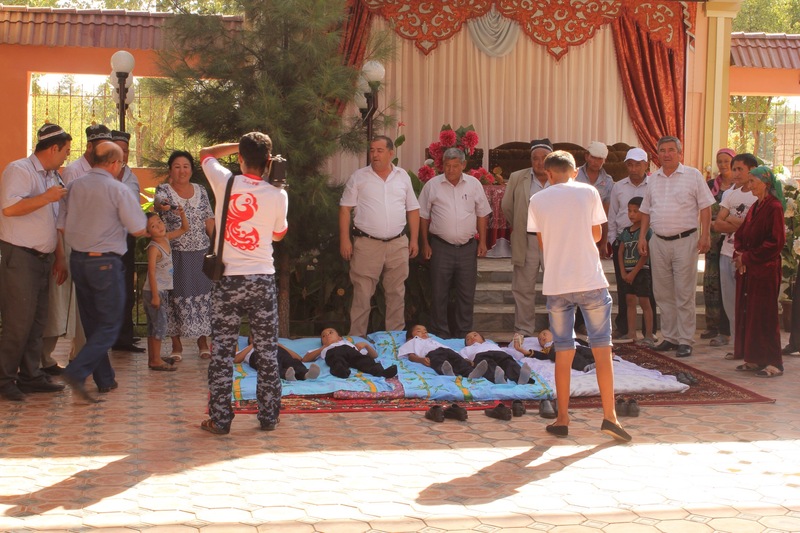 They all seem pretty calm considering but when then the preparations take place, the legs are held tightly together and a large nan bread is brought to bite down on the tears start. We can’t blame them this is anything but a nice experience! I can’t help thinking it’s slightly barbaric and although I know that this operation is nowhere near as painful or debilitating as FGM practises it’s clearly painful and the boys don’t really have a choice in the matter either… Is it the same and where do you draw the line? As we ride away we discuss and contemplate the above while also feeling humbled (yet again) at the amazing generosity and welcome we have just received. 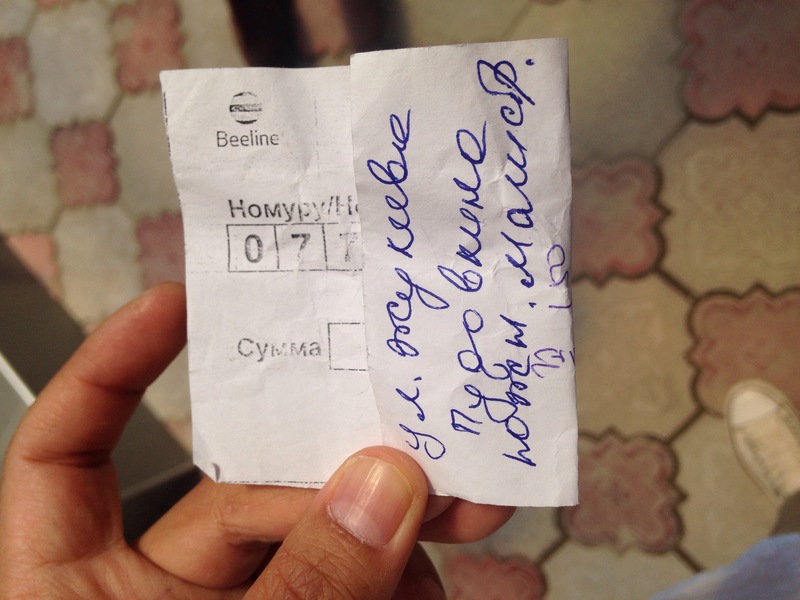 The Uzbekistan visa office in Bishkek is infamous for its scary totalitarian staff, ludicrous appointment system and administrative nightmares but it’s all very doable if you get organised. Most EU nationalities do not require a letter of invitation (Ireland does) which can be obtained through a number of Uzbek agencies. However, a lot of travellers applying in Bishkek end up paying for an LOI anyway ($30-60 depending on the agent) as it makes the visa appointment process a lot less arduous. 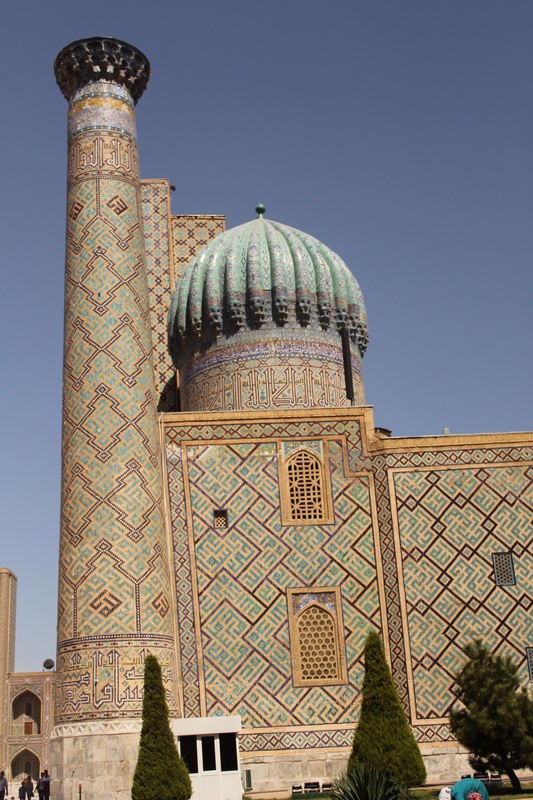 Our LOIs were organised by Luxury Asia Travel in Tashkent who were really great to deal with and even filled out the online application forms for us and sent them as PDFs for us to simply print off. The LOIs took about 6 working days to get and only cost 20$ each but we also have to stay at one of the agencies associated hotels for a night during our stay in the country. 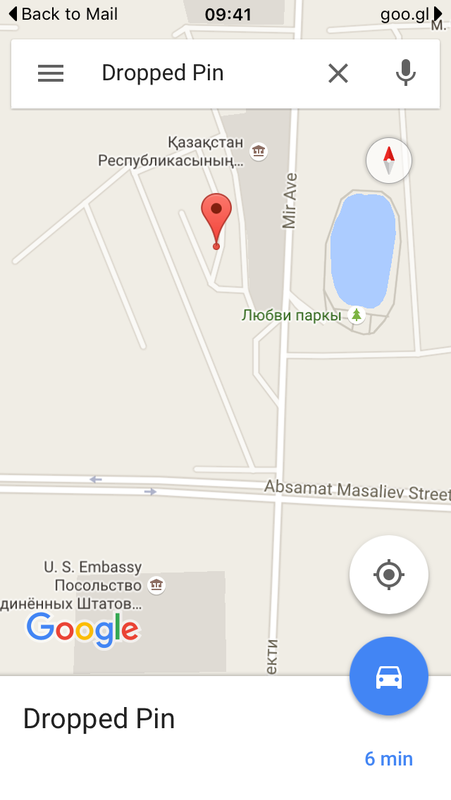 The Uzbek embassy has very recently (June 2016) changed address and it is now in a gated commune next to the right of the new Oxford International School on Manas Avenue. If you have an LOI we would advise calling the day before to ‘arrange’ an appointment. We just turned up and were told to call between 4-5pm to make an appointment. Everyone gets told to come at 10am and there was a fairly big group of travellers already waiting at the commune gate when we arrived at 9:50. So either arrive early and wait or don’t bother turning up until 11am. The guard on the gate speaks no English and operates an irregular 1 in 1 out system. You need to have 1 passport photo, a copy of your application form completed online and printed off, your LOI document and photocopies of your passport page and Kyrgyz entry stamp. The visa staff are not the friendliest but speak good English. After waiting for an hour and a half we were permitted into the embassy and handed over our paperwork. Here is the address if you decide to take a taxi. The bank closes for lunch between 12-1 and annoyingly the embassy closes 1-2pm. We turned up at 12:05 but Paddy managed to charm the ladies there into letting him in, they even let him off on the transaction commission fee!! 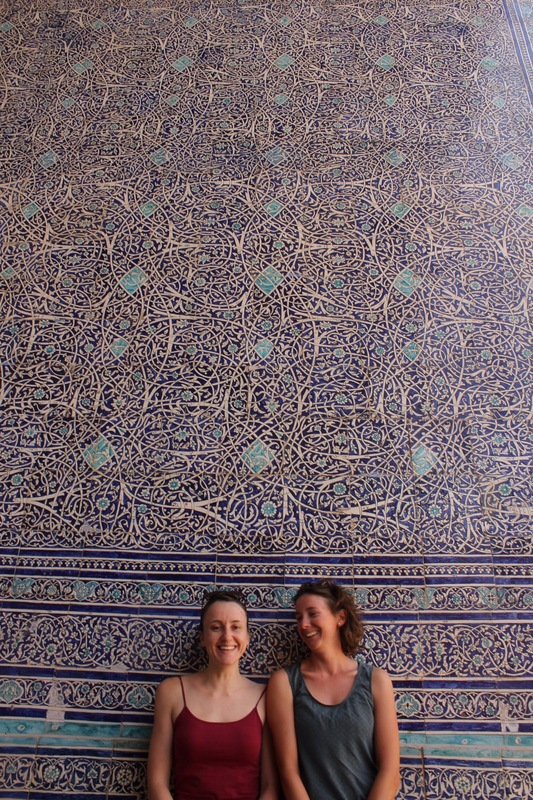 It was all pretty straight forward after paying the bank fee and we walked away with out 30 day visa before lunch.